Considering making the switch to dedicated resource scheduling software? Here are ten of our customer's favourite features. I did months of comparison and it was it’s streamlined interface and ease of use made the difference. A great product that's saving us a lot of spreadsheet action. 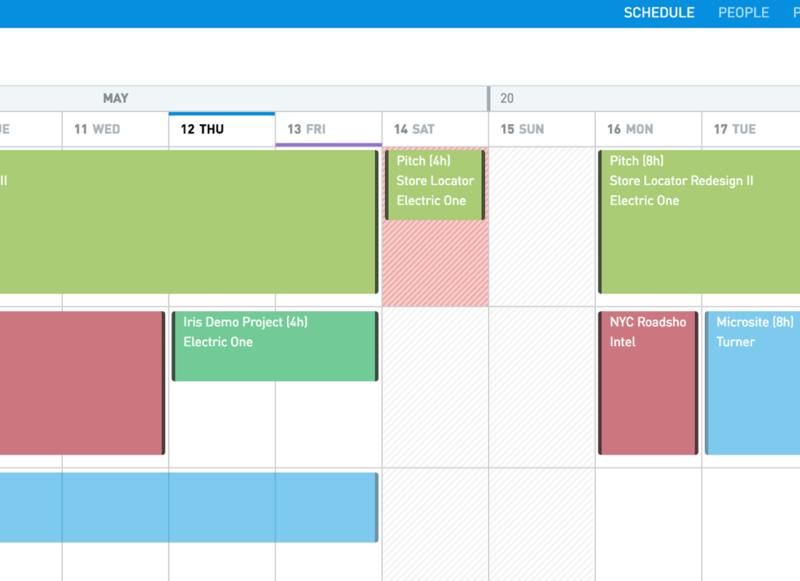 It’s the design and ease of use that allows me to easily navigate the schedule. I compared many options. I like the interface, it is not trying to be everything for everyone. It's easy to use, flexible and simple to get up and running. I made my decision based on it’s simplicity and speed. It's easy and fast to update, cut and change elements being scheduled. 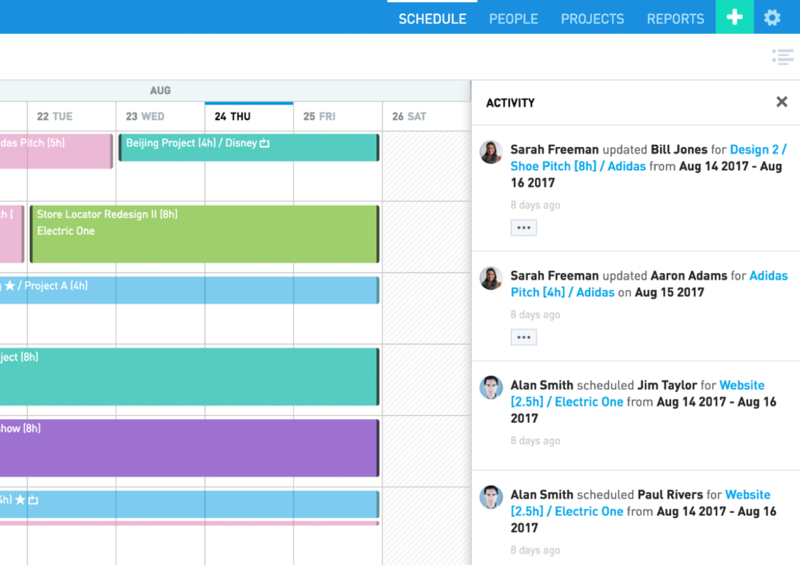 We know that scheduling isn’t always a one-person job, which is why you and your team can both make updates at the same time. You'll see changes as they occur—in real time—so you're always up to date! Have a conflict? Let us help you solve it. We offer the most comprehensive set of editing tools available, so when things change (as they inevitably will), we’ve got you covered. You can drag, drop, insert, replace, split, and duplicate any task with ease using our right click tools and keyboard shortcuts. Effortlessly schedule work for your team. Have a weekly maintenance task or a monthly town hall to schedule? No problem. Set weekly and monthly repeating tasks. Need to copy a task from Rachel in Creative to Paul in Design? Done. Simply duplicate the task by holding Shift and dragging it to where it needs to go. Stay up to date. Anywhere, anytime. Free apps available for iPhone, iPad, and Slack. Whether you're in the boardroom, classroom, or waiting room, you'll always be up to date with the latest schedule changes. Live updates notify you of changes as they happen. One-off weekend scheduling for those one-off occasions. The schedule is flexible when you need it to be, even if it means working on (and not just for) the weekends. You can hide non-work days, set part-time availability, and even schedule team member holidays and one-off weekend tasks. Custom sort, search, and save. A search bar appears at the top of every page, allowing you to filter virtually any team or project variable—including tags, departments, and clients. 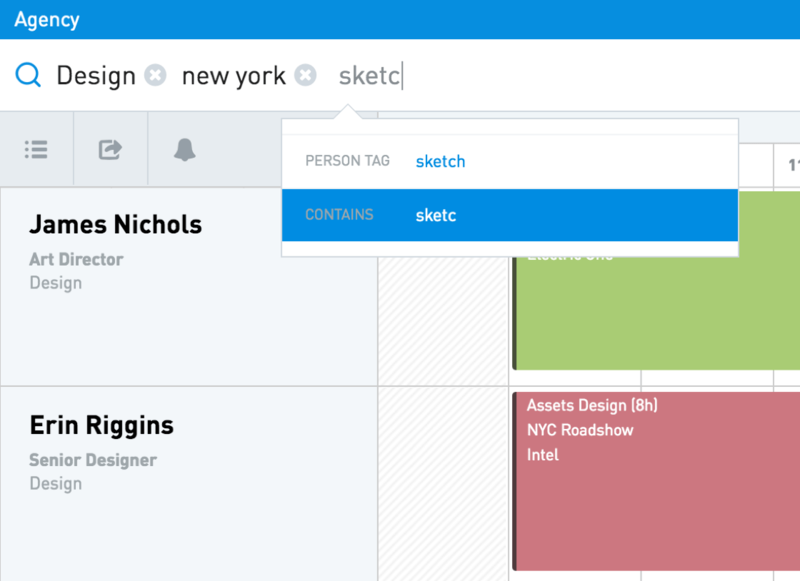 You can also save your searches, align team members into a specific order, and search across every section at once. Move one task. Move many tasks. Create task dependencies using multi-select. 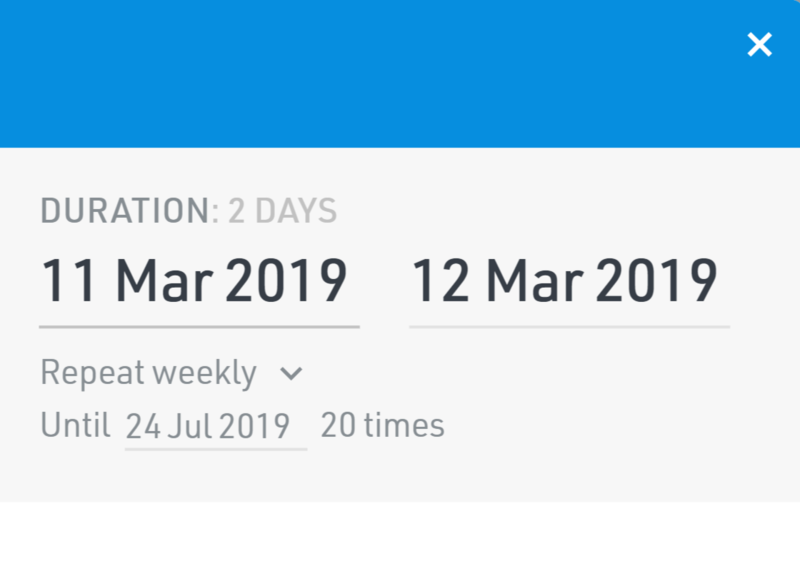 Since deadlines are constantly evolving, we've made it simple to make bulk schedule changes with our task multi-select and move feature. Just hold down Shift, select the tasks you'd like to move, and then drag them to their new date. Track team utilization using Reports, and then export the data. Data is all the rage these days, and since it doesn't just stop at the schedule, we also offer Reports and CSV exporting. 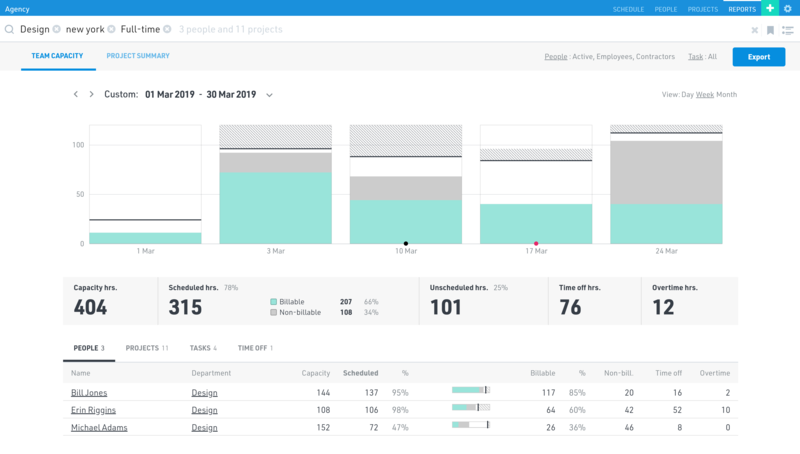 You can report on virtually anything—from people and projects to departments and clients—while also keeping track of individual hours booked and overall team utilization. Connect with all your favorite services. Dedicated API and Zapier integrations connect Basecamp, Asana, Trello and more. Need to import your Basecamp projects? Easy. Want to create projects from your Trello boards? No problem. With our API and Zapier integration, these things (along with 100's of other integrations) are possible with just a few simple clicks. Trusted by the biggest and brightest (as well as the smallest and wisest). Top brands across almost every industry, including advertising, media, finance, government and education.